You’ve just spent a lot of time and money on a new marketing campaign that is creative, witty and exactly captures your company’s brand message. You’ve tested and launched it in your home market and now you want to extend the campaign to other countries. How do you ensure that your core message is successfully captured in other languages? Is a standard translation process good enough for this purpose? Marketing translation is a hybrid translation process. Translators are given instructions to focus on the source content, adapting or localizing cultural references, humor, idioms and slang only to the extent allowed by the source. Marketing translation is typically performed for more technical pieces such as catalogs, brochures, and sales sheets or for factual presentations and press releases. For marketing translations many language service providers (LSP) will use teams of translators who represent both the necessary subject matter expertise as well as marketing experience. Transcreation differs significantly from the translation process: it doesn’t focus on the source text but rather on the concept or message and involves recreating this message in another language, for a different culture or target market. Transcreation is typically performed by multilingual copywriters or linguists specialized in marketing and is recommended for branded messaging: tag lines, slogans, product names, websites, multimedia, and video scripts. Just as the original marketing team needed time to discuss, create, and test the original message, linguists involved in transcreation need to collaborate with client-side marketing teams or agencies to thoroughly understand the marketing message and desired outcome up front and then at the back end to present and explain the transcreated results. Transcreation normally involves more steps, time and money than a marketing translation process, especially when the marketing message is short but far from simple. Taglines and marketing slogans are a good example. Translation of 3-5 words would normally cost pennies and be delivered immediately. Transcreation of a 3-word tagline, however, would be measured in weeks and charged by the hour. Who is the target audience? Are they likely unfamiliar with the language and culture of the source content? Is the intended target market of significant size and value for your company and worth the extra time and money to ensure successful messaging? What is the content type? Is it highly figurative and abstract? Does the source message extend beyond the meaning of the written words? What style is used? Are puns, idioms, or slang used? Does the content use any evolving, trendy language? Are visual images included? Are the images culture-dependent? Do they require adaptation for other markets? On receipt of a marketing project request, a good LSP will review the source content to determine the appropriate process: marketing translation or transcreation. If transcreation appears to be needed, a good LSP will interact with the client’s marketing team to document the intended goals of the message in a creative brief. Based on this creative brief and using the source text as a reference, the copywriter- linguists will “transcreate” the message to produce target language content that triggers the same emotional reactions as the original content. The results – often multiple alternatives, with back-translations and cultural explanations as appropriate – can then be discussed with client-side marketing teams and local stakeholders to ensure success. Would you like more information or have a marketing project you’d like to discuss? Contact OmniLingua today. We'd be happy to answer any of your questions and walk you through project steps in further detail. The new European Union Medical Device Regulation (MDR 2017/745) brings significant changes to previous regulations. Device manufacturers who market products in the EU must be ready to meet the May 26, 2020 transition deadline. As the deadline nears, you may be realizing that under the new MDR, language and translations play a much more important role in regulatory compliance than before. How does EU MDR impact your translation system? Official Language Requirement: The new EU MDR regulation may change your current language selection requirements. Up until now, individual EU Member States determined their own language selection. This changes under the new MDR, which requires that all regulated medical device content be available in all 24 official languages of the Member States where the devices are distributed. If you haven’t already translated into all 24 languages, this may significantly increase the number of languages you support. Content requiring translation: The scope of regulated medical devices has been expanded under the new MDR: products with non-medical purposes, such as colored contact lenses, are now included. In addition, translation requirements for devices currently regulated have been modified and expanded to include documentation from the manufacturer, analysis, management, authorization, marketing and distribution of medical devices. In most cases, existing technical documentation will need to be updated or revised to match the new MDR requirements. Timing of translations: The position of translations in your workflow will probably also be impacted by EU MDR requirements. Under previous regulations, translations were primarily performed after CE marking. Under the new MDR regulations, translations of labeling and Instructions for Use (IFUs) are required as components of the technical dossier that is submitted for review to the Notifying Bodies. This moves the translation of product documentation up in the workflow. To meet new requirements, translation will have to be an integral step in many other phases also, for example post-market surveillance. Quality Management: The new MDR requires supply chain transparency relating to quality systems and risk management. Your Language Service Provider (LSP) will need to support you with an effective Quality Management System that takes a risk-based approach to decision-making and management of 3rd party suppliers. Although not required, your LSP’s certification to ISO 13485:2016 can demonstrate compliance in this regard. Translation Quality: The new MDR requires precise, clear language, especially on content intended for the end user. Labeling, IFUs, safety and clinical performance information must be clearly comprehensible and easily understandable to the intended user. This applies not only to the original source language but also to translated content. LSPs must give their translators additional training on this requirement and monitor their work to ensure compliant output. Content/Translation Management: The new MDR puts a major emphasis on data and use of a central European database of medical devices, EUDAMED, to capture, correlate and exchange device information in all applicable languages. Considering the different types and sources of this information and all the revisions to existing technical documentation required by the new regulation, your LSP must be able to interact with client-based Content Management Systems and have an effective Translation Management System in order to ensure accurate global changes, consistent translations, traceability of work and cost-efficient processes. How can you make the most of the time remaining? LSPs like OmniLingua, who understand the new requirements of the EU MDR, will be able to proactively support you in achieving timely compliance with the new regulation. With certified ISO systems in place and trained translators at the ready, we can help you make sure that all of the necessary revisions and updates to existing documentation are applied for all of your EU markets. In our last blog post we discussed why certification to ISO standards is an important criterion when evaluating Language Service Providers. It functions not only as a globally recognized form of accreditation but shows that the certified LSPs are committed to a quality management system and offer services in line with international standards and industry best practices. Does the LSP meet your business requirements? Has it been in business long enough, with the operational and financial stability you require? Is the LSP the right size for your organization and projects? How does its average annual revenue compare to your anticipated spend? Are the LSP’s operations scalable to meet your needs, both in size and geographic location of offices as well as during peak seasons and holidays? Does the LSP support all of the languages you require? All of the services you require? Can the LSP provide good references from other clients and from their suppliers? Do the services and systems offered match your organization’s level of localization maturity? Are you looking for an LSP that will handle the complete translation process for you or do you have an in-house team that manages translation? Are you looking for a technology offering or do you have your own in-house translation tools and system? Does the LSP offer Machine Translation, if desired? Can the LSP provide the reporting you need? Are the LSP’s technology systems aligned with your internal systems? Does the LSP support the necessary formats, system and data security requirements? Can your systems “talk” to each other? Does the LSP provide the degree of automation that is right for you? Does the LSP offer the desired level of technology support, consultation and innovation? Are the candidate’s Accounts Receivable & Accounts Payable procedures and technology compatible with your internal requirements? These questions are by no means universal or comprehensive. They represent a few dimensions that play a role when selecting a Language Service Provider. Your procurement process will need to define the critical services and criterion for your organization to enable selection of suitable potential LSPs. OmniLingua would be glad to provide further information and discuss aspects of vendor selection with you in more detail. Just contact us. We look forward to talking to you! Why work with an ISO-certified LSP? We’ve all faced the problem of having to decide who to turn to for help in solving problems: which doctor or lawyer to consult, which hairdresser or tax consultant … This is a fairly easy process if you can look at and judge the results of the work they’ve previously done. But how do you select a language service provider (LSP)? It’s hard to evaluate the translation quality of a language you and your friends/colleagues don’t understand. How can you know if your carefully crafted safety warnings or marketing messages comes across as intended in a language you do not read or speak? And how can you determine if the LSP’s processes meet your quality requirements? A good start in selecting the right LSP is to see if they are certified to recognized standards issued by the "International Organization for Standardization" (ISO). There are several ISO standards that apply to the translation industry, ranging from the very general ISO 9001, through the translation-specific ISO 17100 to various standards applicable to other industries which require translation services, such as ISO 13485 and ISO 14971. Certification to these standards is issued by independent, external organizations based on extensive on-site audits by professional, trained auditors. Annual surveillance reviews ensure continuing compliance with the latest updates to the standards. There are no guarantees for translation quality, but certification to ISO standards is a valuable method for narrowing down your list of potential suppliers. It provides a clear, traceable system for the accreditation of LSPs. Companies willing to invest the time and effort into establishing and maintaining their ISO certification demonstrate their commitment to a quality management system and offering the best services possible in line with international standards and industry best practices. So what does this mean in practice? What are the actual advantages of working with a certified language service provider? An ISO-certified LSP knows what they’re doing; their processes are tried and tested, predictable, traceable and efficient. Translation quality is ensured through hard-wired process requirements, including edit or revision of the original translation by a 2nd qualified, professional linguist. Certified LSPs use professional linguists who are trained to capture the nuances of your message in accurate language appropriate to the subject matter and target audience. Documentation of linguists’ qualifications and training should be provided on request. They employ experienced, competent project managers who consistently execute standardized processes and coordinate project communication, relieving the strain on your internal staff. You should be able to step back and monitor your projects’ progress with full peace of mind. A certified LSP's linguists and project managers have access to and are skilled in the use of the appropriate translation management technology and tools to improve translation quality and consistency and to cut project time and cost. ISO standards require high levels of operational security to ensure safe, confidential handling, storage, retrieval, archiving and destruction of data and documents. And last but not least, if your company itself is also ISO-certified, working with an ISO-certified LSP makes everything easier, from onboarding (fewer hoops and less paperwork) to passing those important internal and external audits. It’s like fitting the pieces of a jigsaw puzzle together rather than pounding a square peg into a round hole. Requires a quality approach, quality manual, standard processes and a direction to process improvement. Global standard for quality translation service that meets client expectations, industry codes and best-practice guides or legislation. Specific to Medical Device, Pharmaceutical and Clinical translation projects that require the absolute highest level of accuracy and consistency. OmniLingua just had surveillance audits for all of these certifications in early September. We passed with flying colors, including 2 Best in Class findings. To learn more about ISO standards for the translation industry and the processes OmniLingua has in place to ensure compliance visit our website or contact us today. What do you mean, my translators are on vacation?? Here you are, you have done it! You have finalized your content and your translation budget is approved, but when you call your language service provider to set up a project you hear that your dedicated translation team is not available – they’re out on holiday. Anyone who interacts regularly with international business partners is familiar with the feeling – the rest of the world seems to have far more holidays and vacation time than the United States. In comparison to the 5 -15 paid vacation days and 8 holidays many Americans have, Western Europeans average 30-38 days of paid leave (public holidays plus paid days off work). Just as US business pretty much comes to a halt over the Thanksgiving and Christmas holidays, other countries have similar periods where it’s all but impossible to reach business associates. China and Japan celebrate Golden Week, during which millions of people travel cross-country to gather with their families. Life in Israel and the Jewish community focuses on multiple high holidays every autumn. 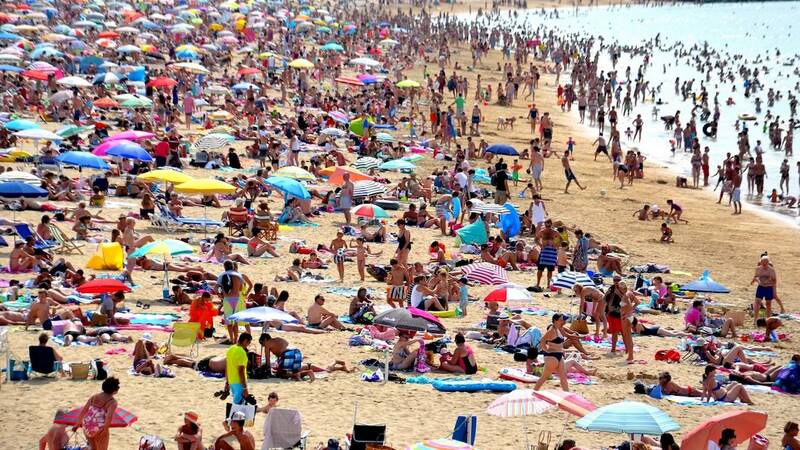 As a nation, the French take les grands vacances in July and August, and Western Europe celebrates a much longer Easter holiday than in the US. Commerce generally slows down or grinds to a halt during these periods. The most common business model in the translation industry revolves around the use of translators who reside in their native countries and these translators obviously want to observe national holidays and go on vacation like the rest of their neighbors. In addition, many of them are freelancers and arrange their work so that they can take even longer vacations and breaks. So how can you ensure that your dedicated team of translators will be available when you need them? Being aware of when your international business partners’ national holidays are is an important first step. Many global corporations have internal systems for notifying employees about global operation closures. You can also expect your language service provider to keep an up-to-date overview of the availability of your translation resources. But the most important way to ensure availability of your dedicated translators is to involve your language service provider in long-term project planning and provide adequate advance notice of upcoming projects. This will secure availability of your dedicated translators despite vacation or holiday schedules and if necessary allow your language service provider to put trained back-up resources in place to meet your schedule. This is especially important for projects that overlap extended holiday periods and for critical translations with regulated short turnaround times, for example the translation of adverse medical event reports for ongoing clinical trials. To ensure that our clients do not experience delays in project turnaround for their time sensitive projects, OmniLingua maintains project managers and translators on call over holiday periods to meet specific client needs and requirements. We look forward to working with you to make vacations and holidays restful and relaxing – for everyone involved in your translation projects! Translation of an eLearning course is often as important as the overall course design. Your course is not beneficial to your international employees if they cannot understand the information presented. In our last blog “The eLearning Translation Process: What should you expect?” we focused on the actual steps in the eLearning translation process. Here we will highlight how to effectively plan for translation before the design process actually begins. To optimize learning, the terms you use should be consistent throughout your entire eLearning course. During course development content is often taken from multiple sources and written by multiple authors. This often leads to the use of multiple terms for the same meaning. 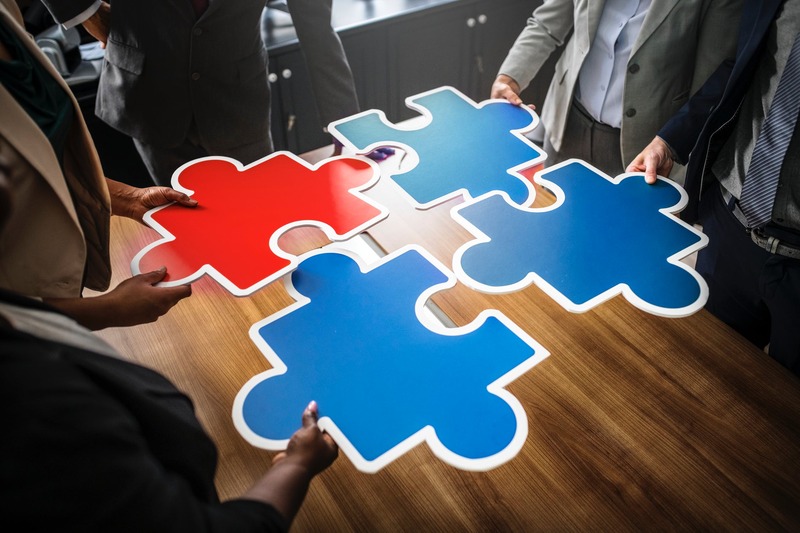 If terms like “sales manager” and “account manager” are used interchangeably throughout the course, translators may differentiate between these roles, making it confusing for the end user to understand exactly what is meant. To prevent this from happening, come up with a glossary of terms before starting to create your eLearning course. Include job titles, specific industry terms, and any other phrases that you know will be used frequently throughout the course and may be expressed in multiple ways. By creating an official glossary that defines exactly which words content creators should use in the course, you’re providing clarity and consistency in phrasing that will ensure clear guidelines for content creation and cleaner translations for your end users. Including a multitude of characters with speaking roles can make for a fun, creative course, but also leads to additional time, expense and complications during the translation process. Think about it: you need the same number of voice talents used in the English version for each translated language. If the English version has 6 speaking characters and you are translating into 3 additional languages - you will need to hire 24 more voice talents and manage a large number of recorded files. Many voice talents charge a minimum fee, even for a small speaking role. So a multitude of speaking characters can turn your course translation into a costly ordeal. The simple solution is to limit the number of characters with speaking roles. The general recommendation is three: a narrator and two characters. Two characters and a narrator can accomplish nearly any conversation that you need to include in your eLearning course. By using fewer voice talents, you not only save money but decrease the amount of time it takes to translate and record your eLearning course. When requesting translation, clients will sometimes hand us the English language course without any of the media assets used to create the course, for example source graphics, source video content, scripts, etc. Without access to the full set of source files, extra time and effort is required during the translation process. Images that require adjustment will need to be re-created, text embedded in graphics will need to be extracted and narration transcribed for translation & timing. Without the source video, each time we re-render the video, quality deteriorates: the resolution of the final subtitled or dubbed target language may not be as high as the original. Right from the start of your eLearning course creation, set up a standardized process for naming and filing all source files. Keep track of the base images for every graphic and archive them in an organized manner. Save your original video content as well, to simplify dubbing or subtitling. Labeling your files clearly is essential to being able to find them easily. By creating different folders for each part of your eLearning course and labeling your files with a unique description of the image or video, you can prevent hours of searching or, having to recreate graphics. All too often a company will work for months on their eLearning course and then expect translation to happen overnight. Predetermined project deadlines have to be met, so their eLearning translation is burdened by an unrealistic timeline. Trying to push an unrealistic, fast turnaround generally only leads to poor translation quality, eLearning mistakes and an incomplete course. A poorly translated course can be detrimental to your international employee training program and can hurt the reputation of your company. Ideally, include your translation partner of choice in the initial project planning. Even without actual course material it is possible to create a rough translation schedule based on your project scope and language requirements. As course design proceeds, notify your translation partner of changes in project scope and schedule. A good translation partner will work with you to design the necessary processes and schedule to meet changing project requirements. If advance planning was not possible and you are faced with a very short time frame for translation of your eLearning course, talk to your translation partner about options. It may be possible to expedite translation of the course through use of additional resources, technology or parallel processes. All of the common mistakes listed above can be prevented through proactive collaboration and regular communication with your eLearning translation partner of choice. Their involvement in the initial planning and ongoing project management meetings will help prevent surprises and delays in the final creation of the translated courses. Planning ahead for translation can also help you better understand the process. If you have any questions about eLearning localization or preparing for the eLearning translation, don’t hesitate to contact us. The eLearning Translation Process: What Should You Expect? The eLearning translation process can seem very complex, especially if it's your first project or if you have had issues in the past. By gaining a better understanding of the phases of eLearning translation, you will be in a better position to navigate vendor selection, as well as the cost structure of a project. Analyze project scope. As a first step your vendor will take a good hard look at your course; ask questions about your expectations, your audience and any special needs you may have. You’ll likely be asked to upload your project to a secure portal or file transfer website so your translation company can better understand the components and complexity of your project. They will also ask for the source files in order to start analyzing your course and project needs. Compile reference material. To ensure that translators and narrators are using terms consistent with the names of events, processes, procedures, people and terminology your company uses internally, it’s important to collect or create glossaries, acronym and pronunciation guides. 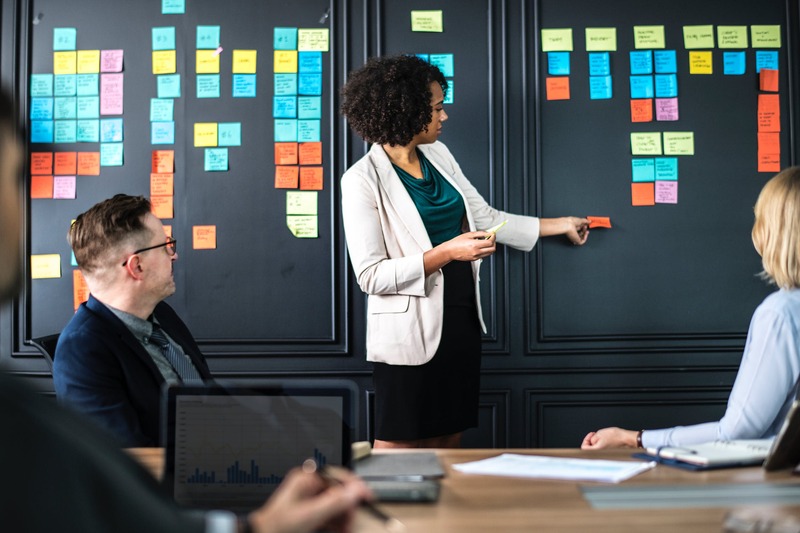 These help project managers and linguists be on the same page from the start of the project and are a critical part of ensuring the project runs efficiently. Prepare an estimate. Now that your translation company has everything they need from you, including your project files, reference material and all the information about the project, they will review all the assets and specifications. As they determine the appropriate process steps the company may ask you additional questions to clarify the goals of the project, find out what browsers you intend to use, and verify any publishing settings or concerns before preparing a cost and delivery estimate for your project. Get project approval. Is the project a go, or a no-go? Once you've had a chance to look over the estimate, ask questions and make any desired changes, a project manager will finalize the project schedule. A kickoff may be held to introduce you to translation team members, discuss any open scheduling, content or technical questions and determine the best means of communicating over the course of the project. Begin translation. Projects typically start with translation of the course content. Project managers will export the translatable content and send it to the appropriate qualified linguists in each language needed. Qualified linguists are professional native-speaking translators who are familiar with the culture and idioms of their language, the required subject matter and the eLearning process. Review. During the project there should be multiple reviews and touch points by all stakeholders: the linguists, project managers, you and ideally, some representative end users. The translations should be reviewed to make sure that the context was taken into account accurately during the translation. At this point, revision of the translated source content may be necessary to accommodate local laws, cultural norms and corporate branding. Record voice-over. During the translation phase, selection of the voice talent should take place. Ideally your translation company should send a variety of voice samples for you to choose for the project. Once the voice talent is selected, the audio portions of the project are recorded. That audio is reviewed, and if necessary, revised. Create localized audio. Depending on the structure of the eLearning course, your budget and project specifications, audio narration can either be displayed in subtitles or voice-over can be recorded. In each case a script of the narration is first translated, and then revised based on the available space (subtitles) or timing (voice-over). Ideally, for voice-overs your translation company should send a variety of voice samples for your selection. Once the narration is recorded or the subtitles are completed another review is necessary, followed by incorporation of any changes. Reintegrate content into the course. Once translations are completed and approved, they must be reintegrated back into the course itself. In other words, your translation company re-compiles the course, placing the newly translated content (localized graphics, text, UI terms, audio) into the appropriate section of the course in order to provide a fully functional course for the learner. Quality control review. At this point the course is complete, but still needs one final review. OmniLingua and our sister company Ingenuiti use an automated tool, Inspector, for client review and feedback. In Inspector, you can let us know what you think and if you would like us to make any final changes. Publish. Now the project and final quality control reviews are complete! All that’s left is to publish the final project for use on the client’s Learning Management System (LMS). Your translation company will add all final approved translations to your corporate translation memories and archive project assets and communication for future reference. That’s a general overview of what the standard eLearning translation process looks like for existing courses. Other companies may vary their approach or the order of their process steps or the number of their reviews and quality checks. Therefore it’s important to ask first and receive an overview. You may also benefit from requesting some examples of other projects similar to yours to gain a better understanding of the various project phases. Contact us with any questions you may have about our eLearning translation process and for further information about the design of new eLearning courses that include global audiences and multiple languages right from the start! We'd be happy to walk you through any of the steps in detail. All of these hard-wired processes and automations are only part of the story, though. The assignment of linguists specialized in clinical study documentation, trained on the therapeutic area, and specific study scope & objective are absolutely essential. OmniLingua’s clinical portal for Adverse Event reports has been tried, tested and continuously improved in more than 25 multi-center trials over the past 8 years. It has been audited by our clients and has passed their corporate compliance and industry data security standards. Turnaround times for translated Adverse Event reports have been reduced significantly and the portal’s audit trails have simplified client-side audits. Use of OmniLingua’s clinical portal for Adverse Event reporting is free of charge for our clients. Contact us today for more information and a demo. As the new year gathers speed and we are pulled into the fast-paced flow of 2018 here are some trends that we feel will impact translation buyers and the localization industry in 2018. The past tidal wave of mergers and acquisitions will continue as large technology companies like Apple and Google extend their activity further into the localization arena. As global markets continue to expand exponentially and client-side localization systems become increasingly mature corporate translation buyers are looking for larger localization partners with a wide range of capabilities and expanded global footprint. As speed to market continues to be a primary driver of innovation in the localization industry, automation and technology are a primary focus. Neural MT is quickly moving from “early adopter” to mainstream status and post-editing tools driven by Artificial Intelligence (AI) and machine learning will support acceptance by linguists. Computer-Assisted Translation (CAT) tools are quickly incorporating Adaptive Machine Translation with more granular match suggestions. This introduces more post-editing into the standard translation process, reducing costs and allowing translators to work faster. Text-to-speech, voice recognition and automated interpreting solutions will revolutionize localized audio output. The demand for localization of digital content will continue to increase at a rapid speed. Dynamic website and social media content will require localization into an increasing number of local languages. This includes multilingual videos, eLearning content and localized apps. Translation buyers should see an increase in the selection of supported languages in 2018. The increased localization of apps and digital content means a greater focus on smaller local markets in Africa and Asia with more customized translation or transcreation. Regulatory changes in Europe will impact most medical device companies as they prepare for the new EU medical device regulations (MDR and IVDR) taking effect in 2020: this requires that labeling, packaging, and instructions for use be translated into a potential total of 32 standard languages. Geopolitical changes are also impacting language in 2018, as seen in Kazakhstan, where Cyrillic script is being replaced by the Latin alphabet to distance the country from Russia. OmniLingua’s recent acquisition by Ingenuiti increases our size, expands our capabilities in eLearning and software development and extends our global reach with Asian operations. Our new internal software development team allows us to respond to your needs more quickly with specialized automated solutions, such as our tools for multimedia and responsive content reviews (desktop, tablet, mobile) and our clinical trial portal specialized for medical safety reports. We interact regularly with our pool of long-term linguists, providing information and training to ensure they stay up-to-date with the newest MT and translation tool developments: even our teams of Xhosa, Zulu and Sesotho translators are using the newest tools to localize clinical study apps. We look forward to talking with you about your localization challenges in 2018! Ingenuiti, a leading translation and multimedia services provider in the eLearning industry, has announced the acquisition of OmniLingua Worldwide, LLC of Cedar Rapids, Iowa. Under the terms of the purchase – effective as of Oct. 31 – the acquired business will continue to operate under the name “OmniLingua Worldwide” as a division of Ingenuiti. The acquisition will allow Ingenuiti, headquartered in Virginia Beach, Va., to expand its core competencies by leveraging OmniLingua’s expertise in localization services. OmniLingua has provided translation, localization, and technology solutions to major clients in the life sciences, automotive, heavy equipment, and manufacturing industries for nearly four decades. It has a long-tenured staff and worldwide network of linguistic partners who will continue to provide professional translation services to the combined client base. “Ingenuiti specializes in providing engaging turnkey learning solutions from conception and development to translation and global deployment. The addition of the OmniLingua team to our company essentially doubles our strengths and will enable us to leverage their translation and localization expertise to better serve our existing clients and further expand our business,” said Maarten Fleurke, CEO of Ingenuiti. Ingenuiti was founded in 1996 with an emphasis on supporting corporate globalization efforts. After becoming established as the most specialized localization company in the area of eLearning translation, the company started supporting corporations and NGOs with their eLearning development needs. In addition to its Virginia Beach headquarters, Ingenuiti also has locations in Charleston, S.C., Dumaguete City and Cebu City in the Philippines, and Shenzhen, China. As part of this acquisition, OmniLingua’s Cedar Rapids, Iowa, office will remain in operation.